2014 has been an interesting year for Lesjöfors Tinglev. We have altogether experienced growth in both new customers and orders from our long-lasting existing customers, even if we noticed a decline in some geographical areas due to political impact. Our dedicated focus on customer service, technology and investments will continue and we follow our ambitious goal; to grow more than the overall market. It can only be achieved in close cooperation with our customers. You are always welcome to visit or contact us. If you are interested in a plant tour or information in general, do not hesitate to call or e-mail us. We are very pleased to have your confidence and hope we will have the pleasure to be part of creating new, innovative solutions for your business also in the future. The staff at Lesjöfors Tinglev wants to thank you all for the good cooperation the past year and we are looking forward to new opportunities and partnerships in the coming year. The above diagrams show our total failure rate and delivery service for the year 2014. The failure rate diagram shows an extremely low share of produced parts that not live up to expected quality. The bars in the delivery service diagram show the percentage of delivery precision, measured on too early and too late deliveries according to our order confirmations. We are proud that we can show almost full score in exact delivery. Lesjöfors Tinglev is closed both in Production and Administration from December 22 to January 2. We are open from January 5 again. During 2014 we have developed our position. Our Chinese wire spring production has now been operating for five successful years. We have expanded and developed our cooperation with our global customers, delivering the same quality for the local factories from our factory in Changzhou. We have invested in European machines and technology in order to keep the same quality and efficiency as we have in Europe. We are proud of the cooperation with our customers, being able to add value to your products. We expect further expansion in 2015. The Lesjöfors group is constantly expanding and is now including 24 factories. During 2014 two new companies was acquired when Lesjöfors AB purchased the spring operations from Sandvik Materials Technology – a leading manufacturer in the US market. 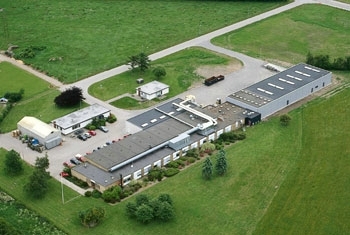 The business is focused on power springs and revenue of about MSEK 100 and the plants are located in the US and Mexico. The acquisition opens up a new market and provides the opportunity for support to existing customers. We can therefor offer you 44 application engineers at your service – in Lesjöfors Tinglev. During 2014 we have focused further on our Coorporate Social Responsibility (CSR) - on health and preventive actions. The springing point is helping us all to accomplish our goals and stay fit for fight – staying healthy in order to stay in the forefront, giving you the best possible service (value for money).